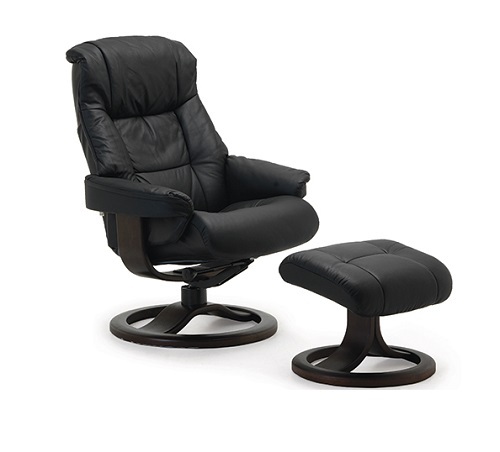 The Fjords Loen chair is available with bases which have a 360° swivel. The base is produced in laminated, stained wood. The chair is available in two sizes, small and large. Footstool is also available.